Adventure Map Mexico  - $10.95 : Trail Explorers Outpost, Keeping the Adventure Alive! 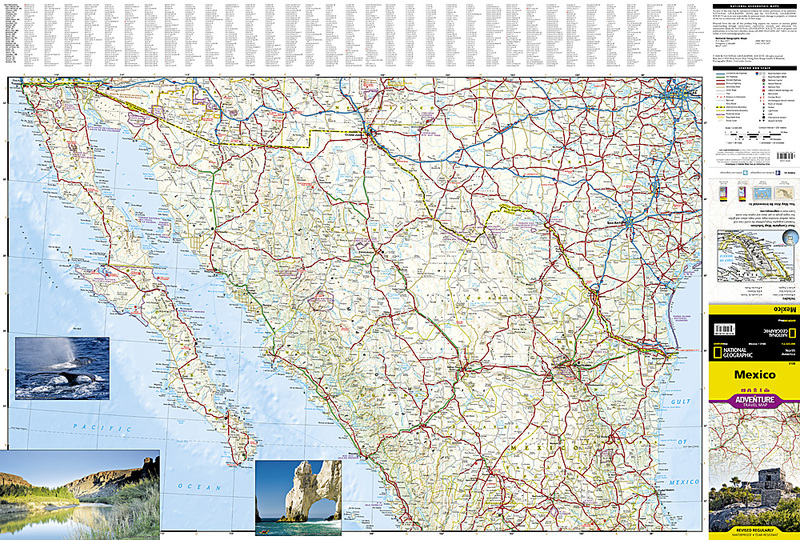 National Geographics Mexico Adventure Map is designed to meet the unique needs of adventure travelers - detailed, durable, and accurate. 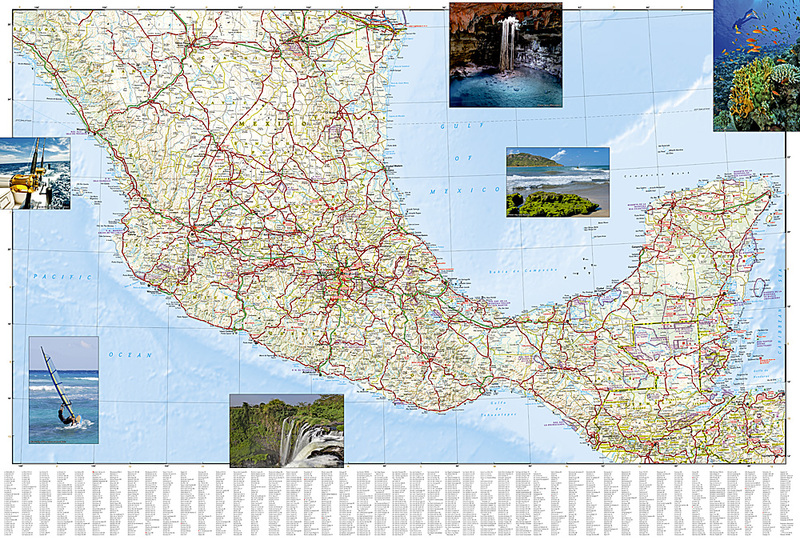 Mexico includes the locations of hundreds of major cities and towns with an index for easily locating them, plus a clearly marked road network complete with distances and designations for major highways, toll roads, limited access highways and more. What sets National Geographic AdventureMaps apart from traditional road maps are the hundreds of points-of-interest that highlight the diverse, unique, and exotic destinations within Mexico including National Parks and Preserves, World Heritage Sites, Archeological sites, Biospheres, Marine Sanctuaries, adventurous attractions such as blue holes, reefs, and volcanoes, and important travel aids like airports, rail lines, lighthouses, and harbors. The north side of the Mexico map details from the U.S. Border south to Aguascalientes, including Baja California, Chihuahua, Tijuana, Mazatlan, and Monterrey. The south side overlaps with northern side and covers the remainder of the country, plus Belize and nearly all of Guatemala at the same scale. Some of the major cities included on the southern side are Acapulco, Cancun, Mexico City, and Guadalajara. Our Mexico AdventureMap is printed in the U.S.A. on a durable synthetic paper, making it waterproof, tear-resistant, and capable of withstanding any environment that is encountered during adventure travel The map is two-sided, and can be folded to a packable size of (4.25 x 9.25), unfolded size is (26 x 38). For travelers seeking more detail, National Geographic also publishes AdventureMaps specific to Baja California, Yucatan Peninsula, and Belize. Net proceeds from the sale of this map go to support the non-profit mission of the National Geographic Society.